Here in Great Britain we enjoy one of the most thriving and diverse historic aviation scenes in the world, the breadth and depth of which is almost unparalleled. In recent times we have witnessed some incredibly rare types gracing our skies, amongst them the sole flying Bristol Scout, unique racers such as the DH.88 Comet, the world’s only airworthy Bristol Blenheim (in short nosed Mk.I configuration), quartets of both interwar Hawker biplanes and early war Spitfire Mk.Is flown in one-off air displays, and myriad classic jets including Vulcan, Canberra and Meteors. These are but some of the crowning highlights. Each year brings new points of interest, be they restoration projects reaching conclusion, air display debuts or new aircraft arriving from overseas. Looking ahead to the immediate future, there is a considerable concentration of such exciting prospects spanning the full spectrum of historic aviation, from the First World War to the 1960s. To that end, participation at airshows and fly-ins in 2017 should be very interesting indeed! 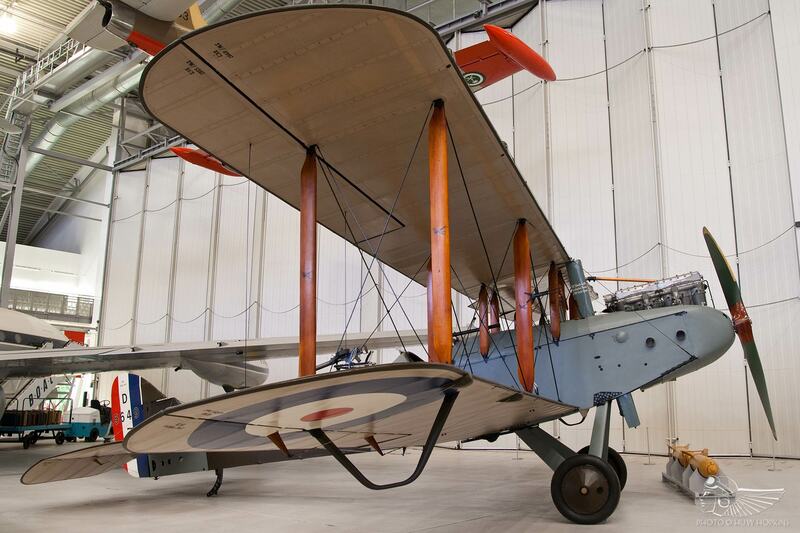 As we move through the Great War centenary period it is fitting that the renaissance of 1914-1918 aeroplanes is continuing apace, with an increasing number of restorations and authentic full-scale reproductions approaching flight. Perhaps the most anticipated of these is the Historic Aircraft Collection’s Airco DH.9 E8894 which, in 2017, may become the first of its type to have flown for more than 90 years. The DH.9 is significant in that it was the first dedicated bomber to enter service with the Royal Flying Corps, having been developed from the successful DH.4. However, the DH.9’s Armstrong Siddeley Puma engine had poorer performance than expected, and the type suffered appalling losses. Consequently few examples of the aeroplane survive to this day, with just four other static airframes housed in museums around the world. E8894 was discovered in India in 2000 along with several other DH.9s in the basement of a maharaja’s house. The two most complete airframes were selected and brought back to the UK for restoration by Retrotec, the first being completed to static display condition for the Imperial War Museum at Duxford in 2007. Now, after years of painstaking restoration, the second DH.9 is tantalisingly close to flight. The engine has been mated with the airframe and successfully run, and sections of the aircraft have been transported to Duxford in preparation for final assembly and first flight. Another immaculate project also recently rolled out of the Retrotec workshops is Sopwith Pup N6161. A faithful recreation built around some original parts, this aeroplane has an intriguing history in that it was captured and flown by the Germans, who adorned the aircraft with black crosses. 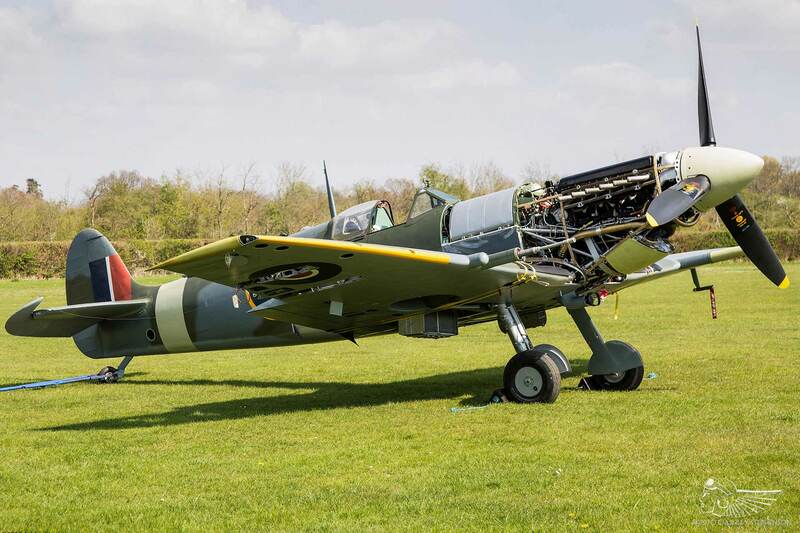 The Pup has recently been undergoing its test flight schedule and if weather conditions allow (provided the wind is 5 knots or less), the aircraft may well make its public debut at IWM Duxford’s Air Festival on 27-28 May. Meanwhile, the world-class collection of First World War types residing with the Shuttleworth Collection at Old Warden is to be bolstered when Sopwith Camel F.1 reproduction D1851 ‘IKANOPIT’ joins the airworthy ranks. The Camel was constructed by the Northern Aeroplane Workshops (who also built the Collection’s Sopwith Triplane, a new build so authentic that it was declared a ‘late production’ Triplane by Sir Thomas Sopwith) and the level of detail incorporated into the Camel is just staggering. 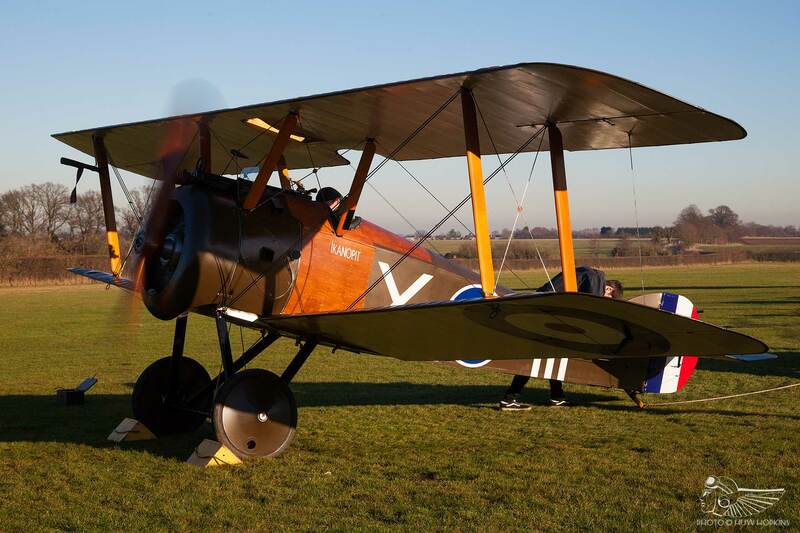 The aircraft is now ready for its maiden flight and it is already anticipated that the Camel will appear at various Shuttleworth shows this season, marking the culmination of an incredible 22-year project. 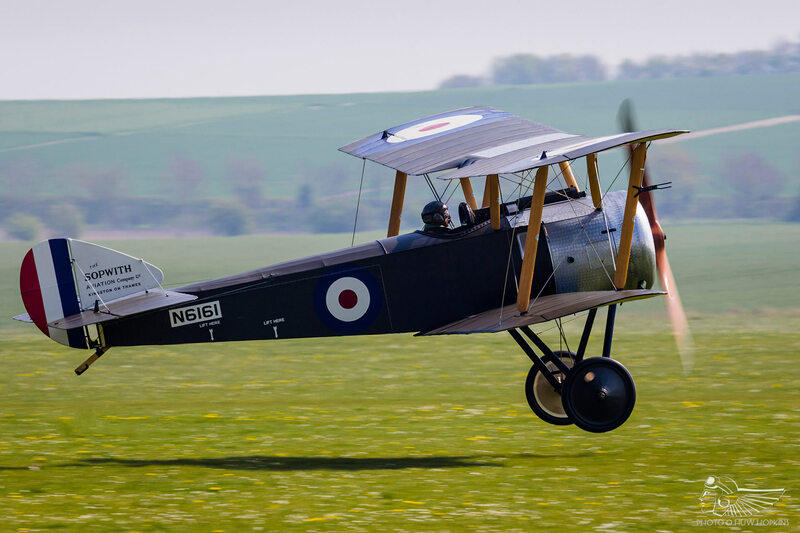 Aircraft from between the wars have often been overshadowed by First and Second World War military types, but recent years have seen 1920-30 era aeroplanes making more of an impression on the airshow scene.  The Shuttleworth Collection is playing a large part in putting these types in front of more mainstream enthusiasts and, indeed, the general public, with the likes of the October Race Day airshow being built almost exclusively around interwar aeroplanes. 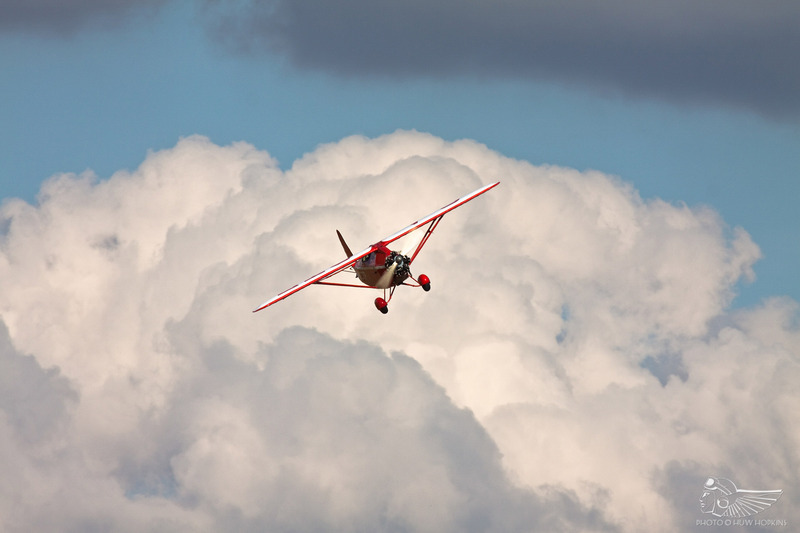 One such aeroplane set to make its debut at the 2017 edition of the popular event is Comper Swift replica G-ECTF, which was built by Phil Cozens in his shed! The diminutive racer made its first flight in 2014 in the capable hands of Jez Cooke and has appeared at the odd fly-in since, but 2017 will mark its first airshow appearance. All being well, Race Day should field a trio of Swifts as G-ECTF flies alongside the other two airworthy examples; the Real Aeroplane Company’s replica and the Shuttleworth Collection’s original example. An incredibly rare and classic aircraft is being based in the UK during 2017, having being imported from its home in Australia. It is hoped that Steve Carter’s Ryan SCW-145, one of just 11 built, will attend fly-ins and airshows this summer, and has already been booked to fly at the La Ferté-Alais Meeting Aérien in France during June. 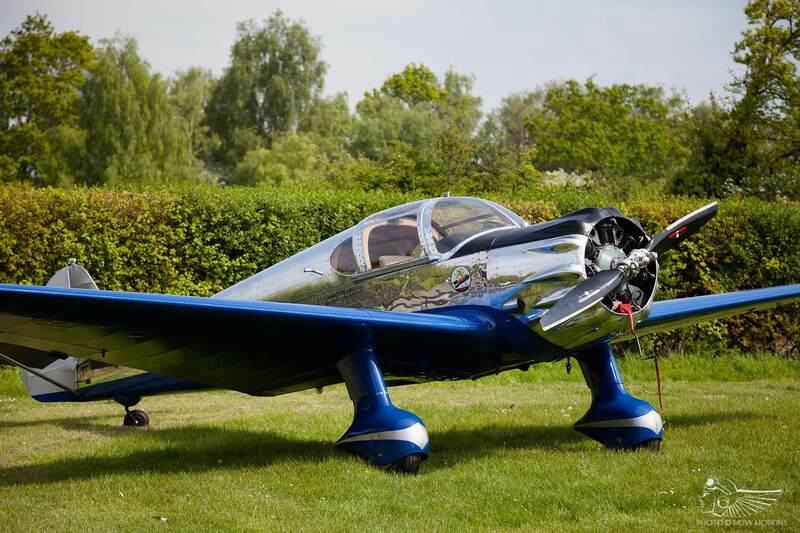 The gleaming silver and blue Ryan arrived in the UK last summer and participated in the Goodwood Revival Freddie March Spirit of Aviation Concours d’Elegance, where it was awarded 3rd prize in the judging as an accolade for the pristine condition the aircraft is in. 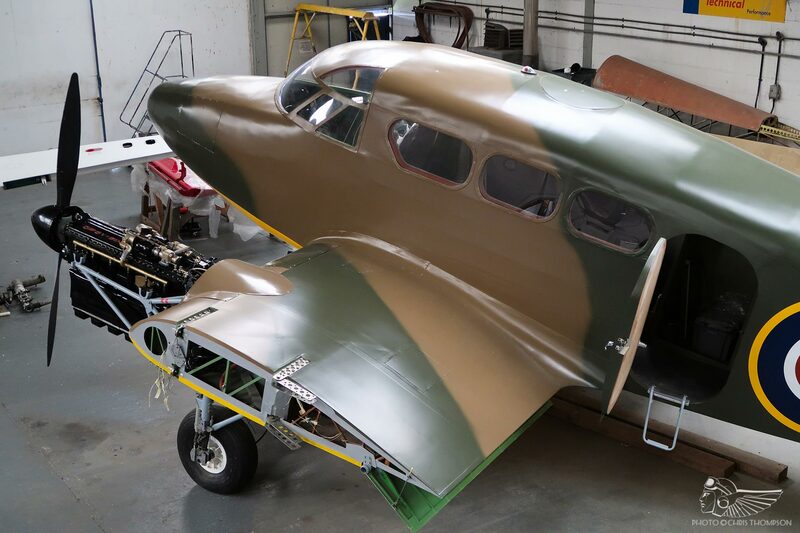 A relatively unknown between the wars type is being resurrected at the workshops of Fordaire Aviation in Norfolk. The Percival Q.6 Petrel was originally built as a six-seat civil transport, but the onset of war saw many pressed into service with the RAF. This particular Petrel was one such example and bears its military serial number, X9407. With relatively small numbers constructed (just under 30 in total), this airframe is now the sole survivor of the type and is being completed in the military scheme it was adorned with during the Second World War. The Petrel is destined to join the growing collection of vintage types at Finest Hour Warbirds and will likely be based at Bicester airfield, where the public will have the opportunity to take pleasure flights in this unique piece of Britain’s aviation history. Although unlikely to be completed and flying in 2017, this unique restoration is one to keep an eye on. With their engaging combat histories, abundance of charisma and high-profile restorations, it’s no surprise that Second World War warbirds are amongst the most sought after aeroplanes on the vintage scene, and there is much to look forward to in this regard in 2017 and beyond. The UK’s airworthy population of Spitfires will continue to grow this year, and one such aircraft will be making a grand return to the skies – the Shuttleworth Collection’s Supermarine Spitfire Mk.Vc AR501. Having bowed out of airshow service in 2006 for what was initially touted as a relatively short overhaul, this Old Warden favourite is looking remarkably like a Spitfire once again following a mammoth 11-year restoration. With the engine in place, gear swings undertaken, clipped wingtips fitted and engine runs in progress, it certainly feels as if this project is on the finishing straight. 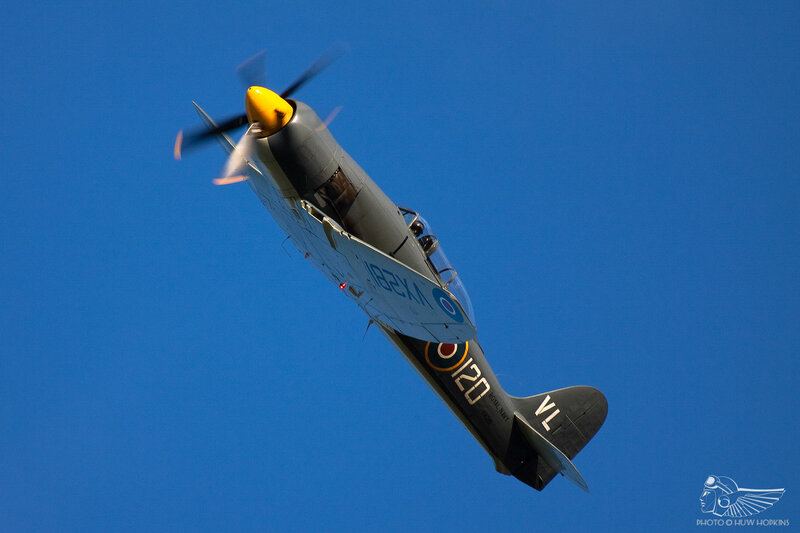 It will be lovely to have Shuttleworth’s Spit back, hopefully lilting through the evening air at the Flying Proms accompanied by Sir William Walton’s Spitfire Prelude! Spitfires will always be the more numerous type, but the venerable Hawker Hurricane is gaining more exposure as an increasing number return to the air. Having made its first post-restoration flight in March, Hurricane P3717 has recently moved to Old Warden where it will apparently be based for its debut air display season. 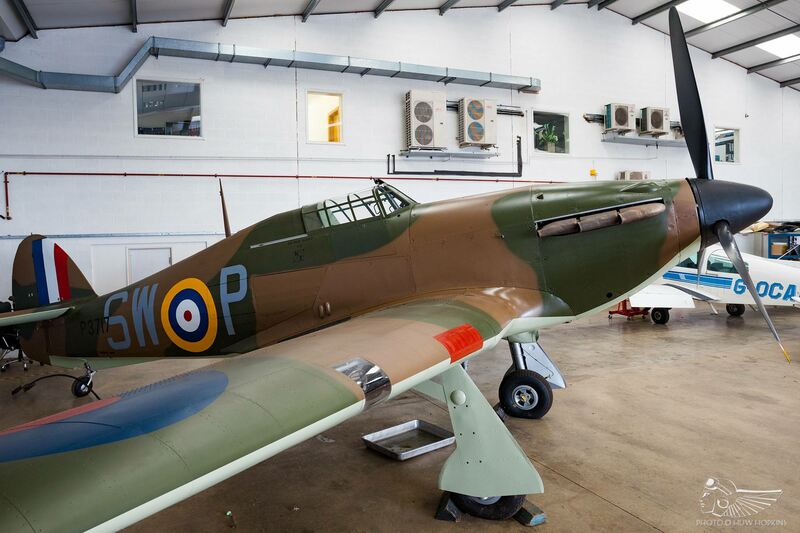 This Hurricane is a Battle of Britain combat veteran and wears its colours from that period, but has been restored to Mk.II configuration. P3717 will be operated by Hurricane Heritage/Bygone Aviation Ltd alongside Mk.I R4118. This of course means that along with the Shuttleworth Collection’s Sea Hurricane, there are now three Hurricanes residing at Old Warden, and we hope to see them fly as a trio at an airshow there this summer; a must-see for enthusiasts, no doubt. R4118 and P3717 are also booked to display at Duxford’s Flying Legends airshow on 8-9 July. On the axis front, one fighter which caused a real stir when it arrived from Canada in 2014 was Messerschmitt Me-109E-4 ‘White 14’. 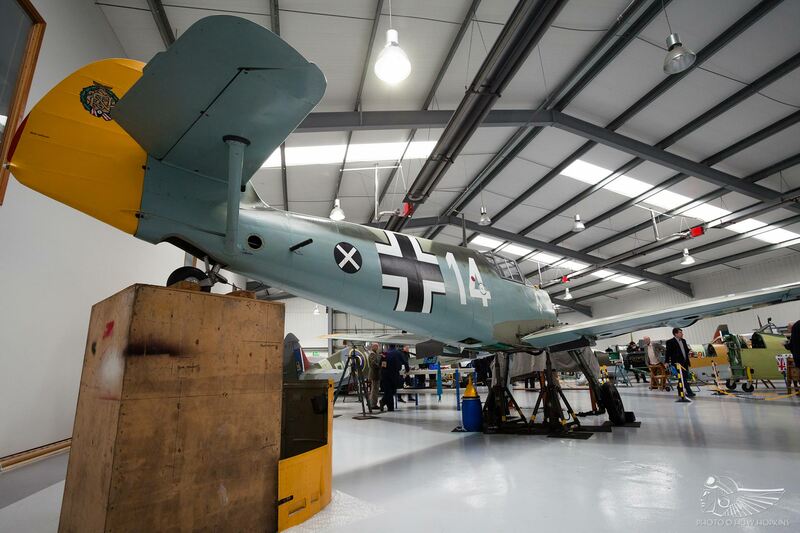 This early model of the potent Luftwaffe fighter is very historic as it was flown in combat during the Battle of Britain by ace Hans-Joachim Marseille whilst with JG2. The rare ‘109 has not flown for several years and following remedial work by the Biggin Hill Heritage Hangar Ltd team, should feel air under its wheels once again in 2017. Indeed, the aircraft has already undergone engine runs at Biggin with its overhauled Daimler-Benz DB-601A. An early model Messerschmitt hasn’t been seen by the British public since wartime, and such is the state of the warbird scene at current that it is highly likely we could see this ‘Emil’ flying alongside other 1939-1940 veterans including Spitfires, Hurricanes and Hawk 75. Quite remarkable prospects! There’s no denying that there has been a significant downturn in the number of post-war era aircraft operated on the UK civil register, with classic jets in particular suffering in recent years (especially following the Shoreham airshow disaster). With that said, it isn’t necessarily all doom and gloom and there are some hopeful glimmers on the horizon. Edging towards airworthiness at North Weald is the Royal Navy Historic Flight’s Hawker Sea Fury T.20, a fine example of the pinnacle in piston engine fighter design. Following an engine failure and forced landing during the Culdrose Air Day in 2013 the aircraft has been extensively worked on by Weald Aviation, and as of spring the Centaurus engine has been fitted to the airframe and the aircraft is on track to be flying again by the summer. It will be good to see Lt Cdr Chris Gotke at the helm once again! 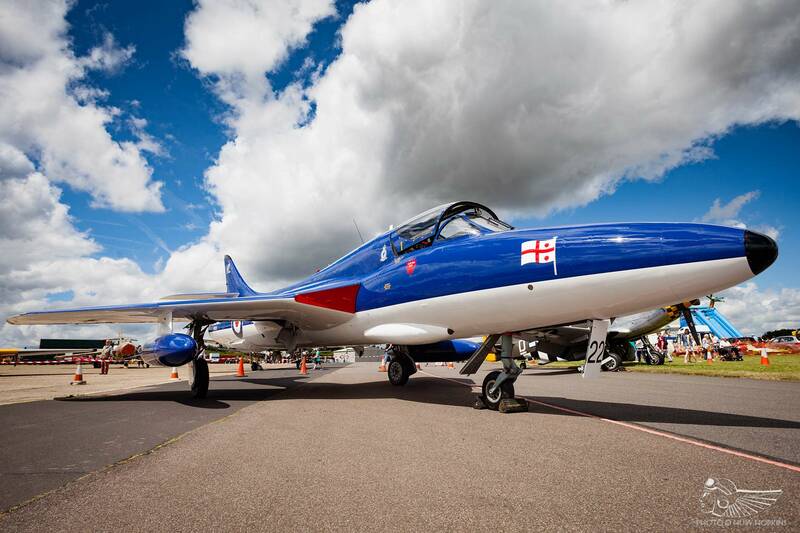 Provided the Civil Aviation Authority’s ban on civilian Hunter operation is lifted, Canfield Hunter Ltd’s Hawker Hunter T.8B WV322 should be able to take to the skies following completion of its restoration. The classic jet is adorned in a very smart Admiral’s Barge paint scheme and will hopefully attract bookings from airshows. 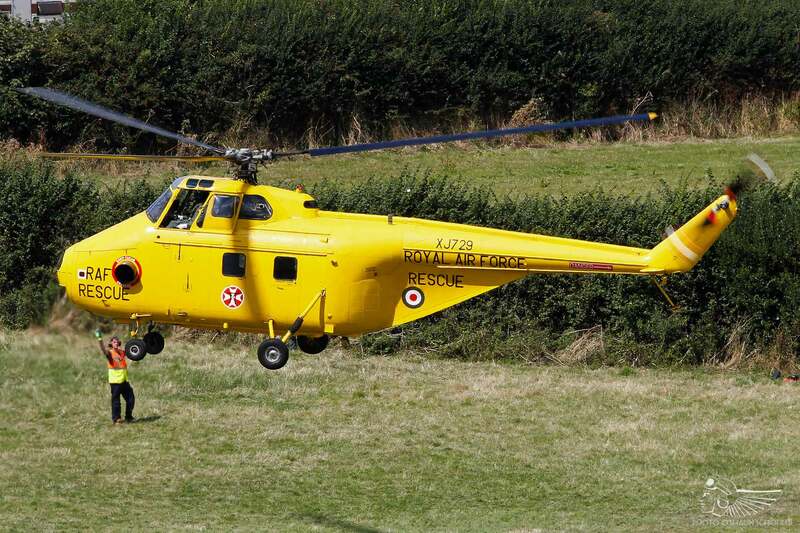 Several vintage helicopters have joined the scene in recent years, the star of which is almost certainly Westland Whirlwind HAR Mk.10 XJ729. It is the only remaining example of its type flying in the world and has been attending airshows and events for several years. 2017 will see the Whirlwind make its first major air display appearance RAF Cosford in June – a real coup for one of the RAF’s last remaining airshows. That these rare and interesting aircraft are just the cream of what we have to look forward to in the near future is quite staggering, and illustrates what a strong and diverse historic aviation scene we are lucky to have in the UK. That diversity continues to enrich the British airshow scene, even at this difficult time where organisers, operators and display pilots are facing regulatory changes and uncertainty. All the more reason, then, to get out there this summer and enjoy them! With thanks to Chris Thompson/Finest Hour Experiences, Shaun Schofield and Ashley Stephenson.